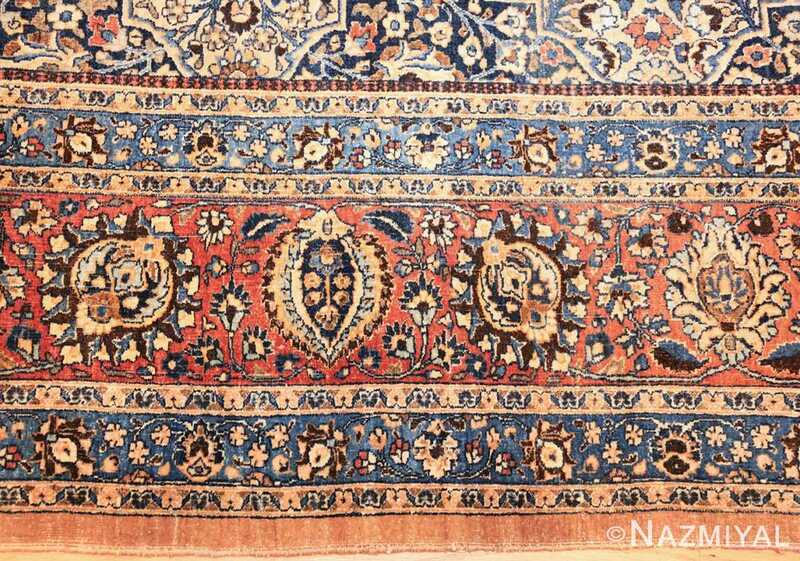 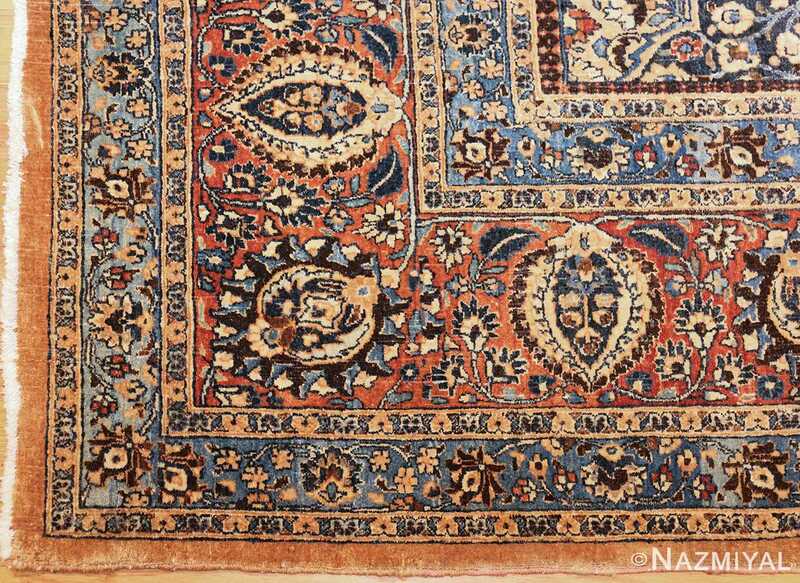 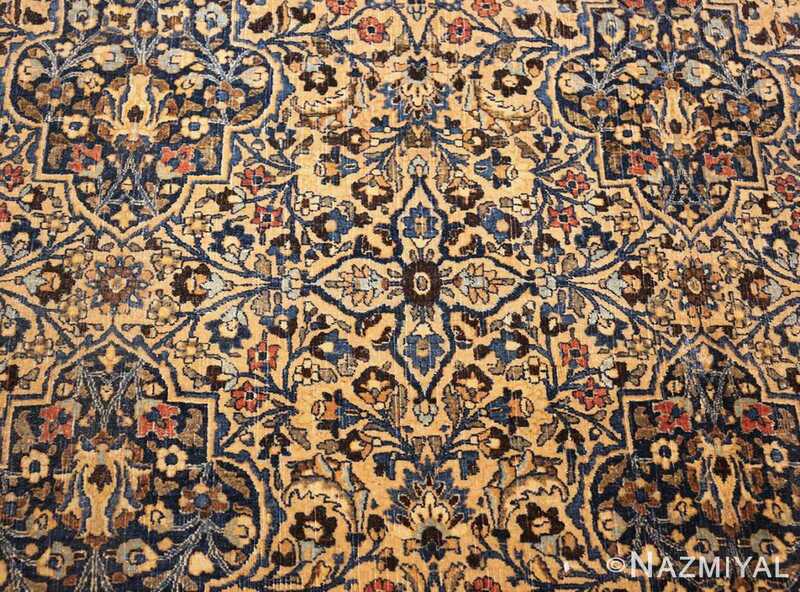 An intricate and impressive design pattern of cartouche-like medallions and quatrefoils linked by finely proportioned flowering vines sprawls across the champagne colored field of this large size antique Persian Khorassan carpet. 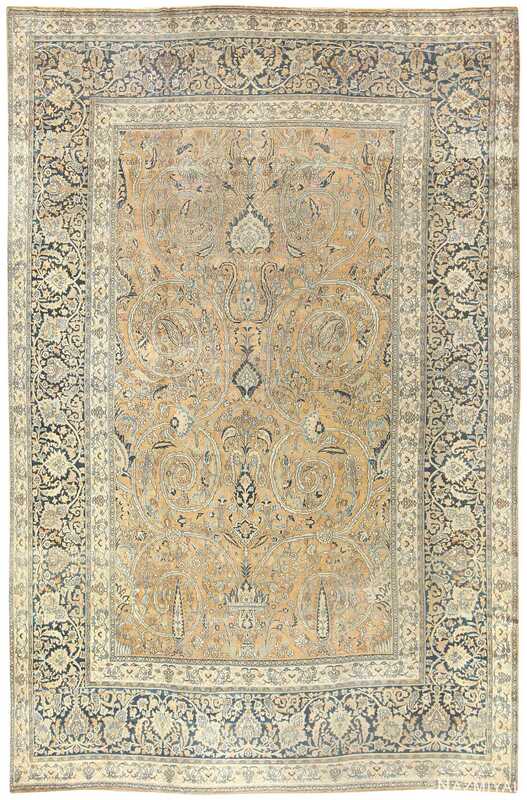 Large Antique Persian Khorassan Rug, Country Of Origin / Rug Type: Persian Rug, Circa date: 1910 – This large antique Persian Khorassan rug features a dazzlingly complex design of cartouche-like medallions and qua-trefoils linked by finely proportioned flowering vines sprawls across the champagne field of this sumptuous Large antique Persian Khorassan rug. 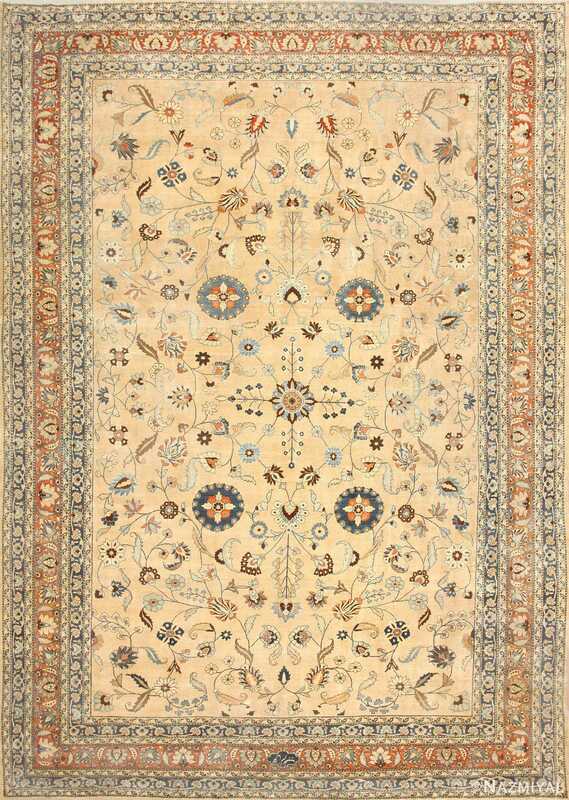 The many tiny flowers function collectively like a classic Persian rug with a ‘millefleurs’ design, but within this complex mesh one can make out a larger, more subtle arrangement of figure – eights that governs the distribution of various vines. 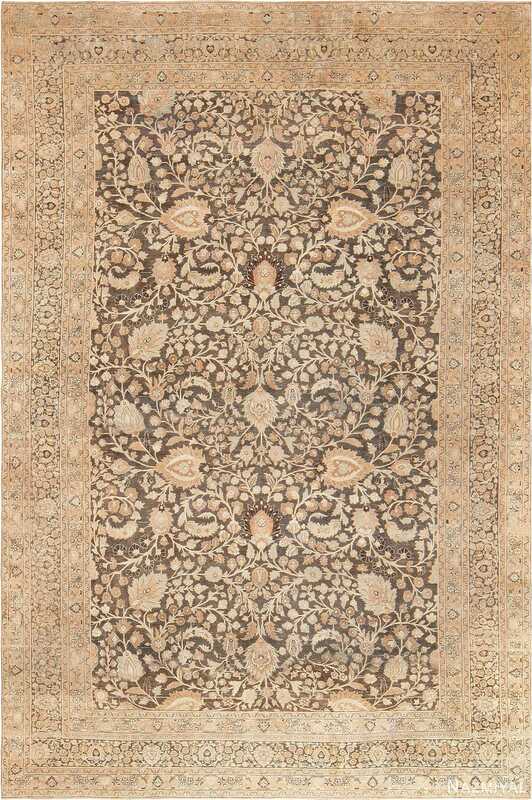 This underlying subtlety teases and entices the viewer to explore the richness of the design. 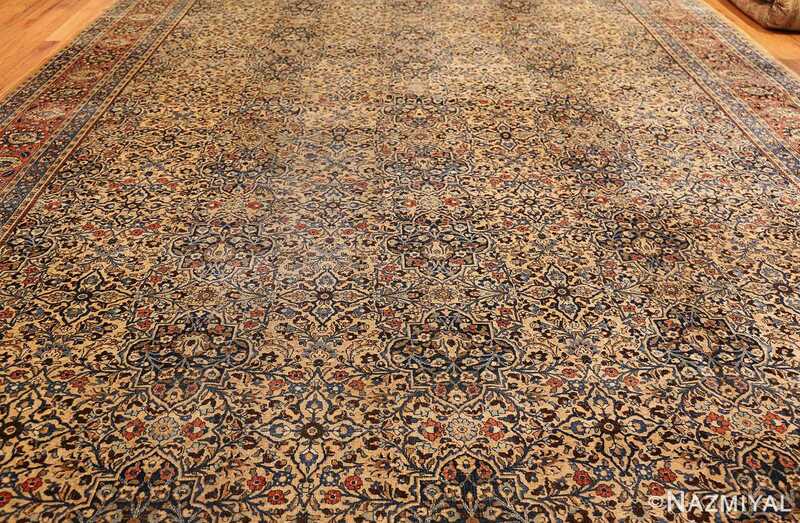 A classical Persian palmette border on a terracotta ground provides a pleasing closure to the overall decorative effect. 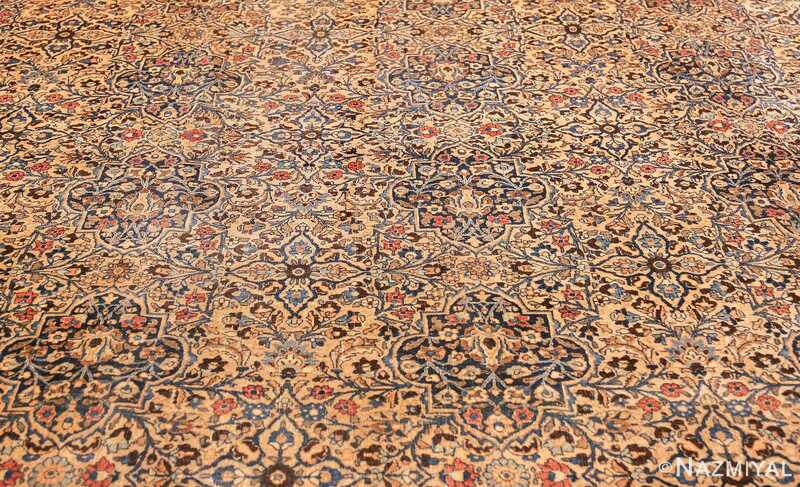 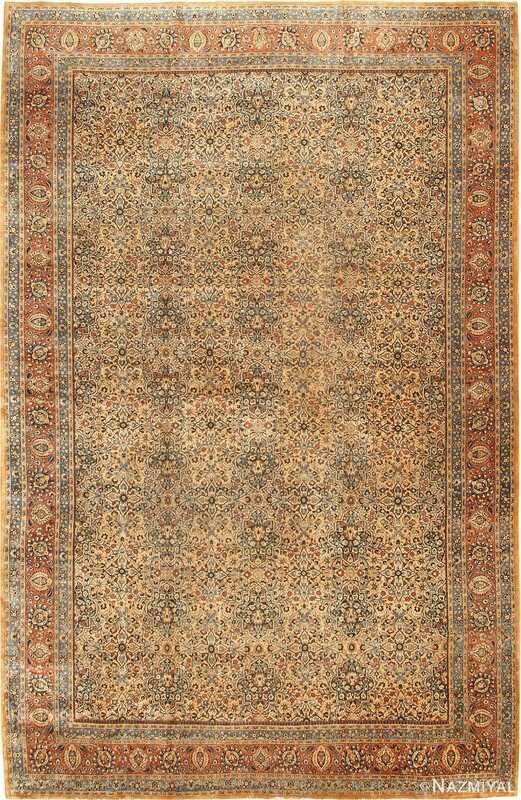 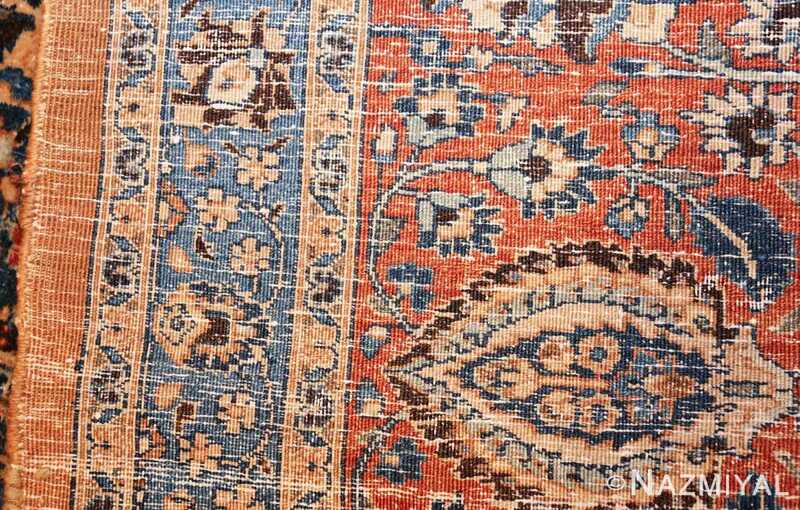 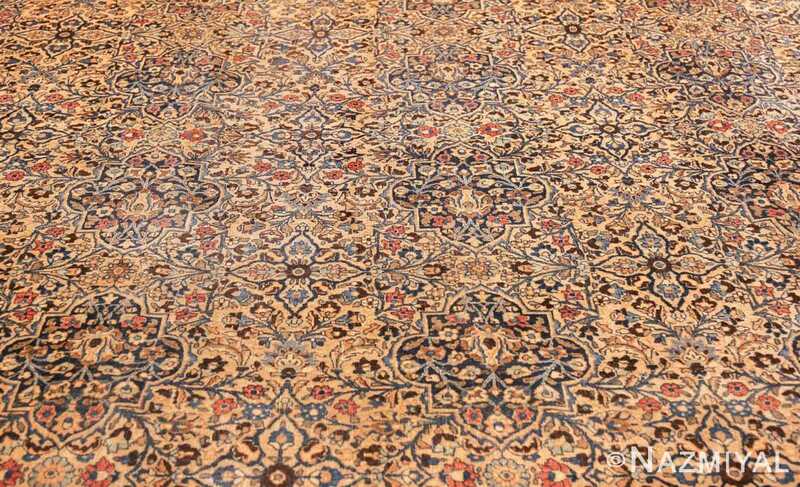 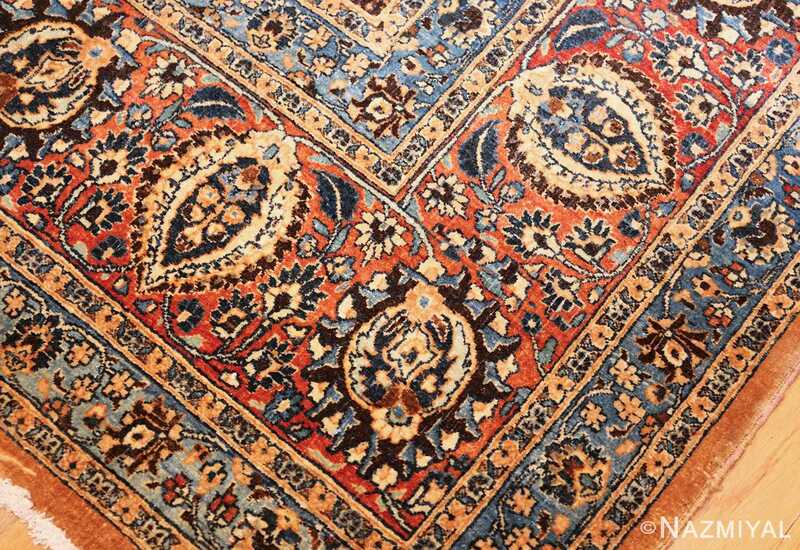 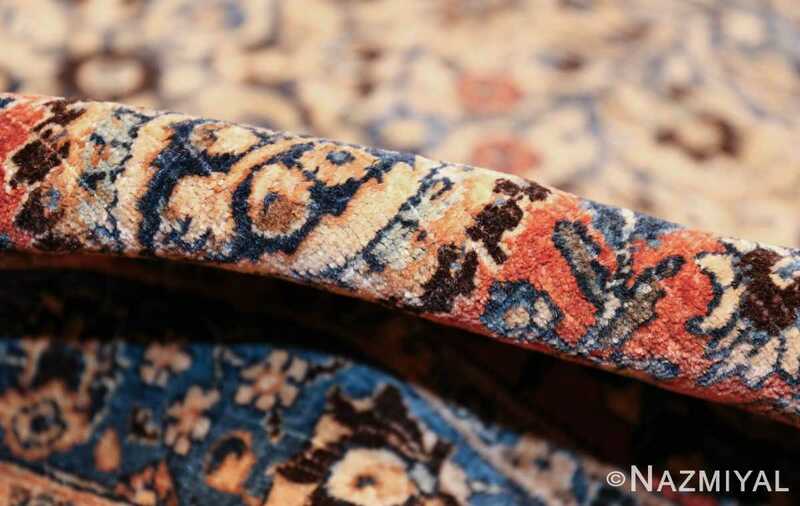 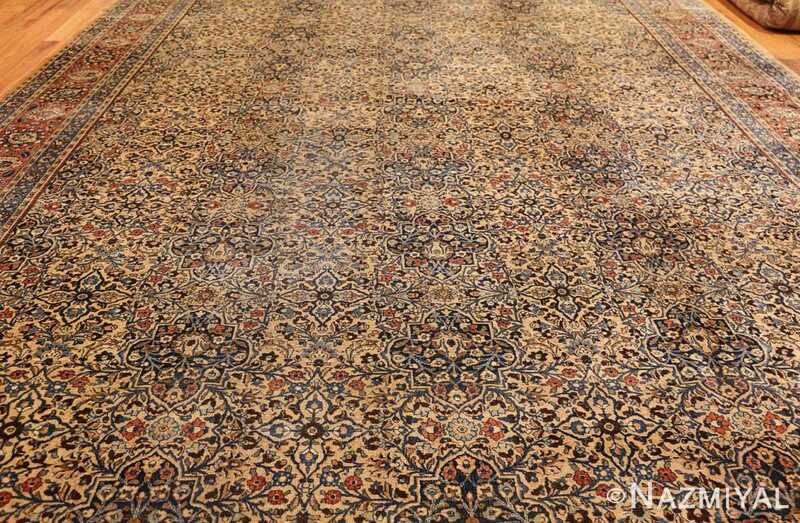 This classically composed Khorassan carpet is characterized by a beautiful pallet of soft earth tones. 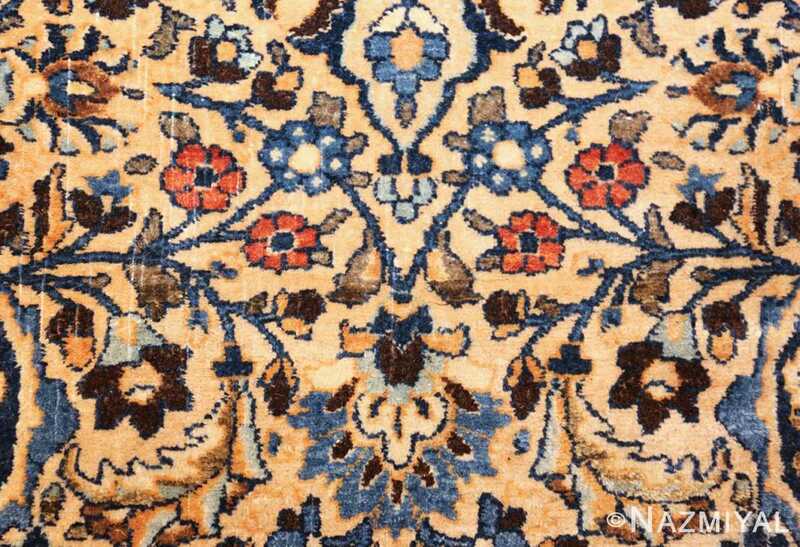 Complex borders complement an elegant field.